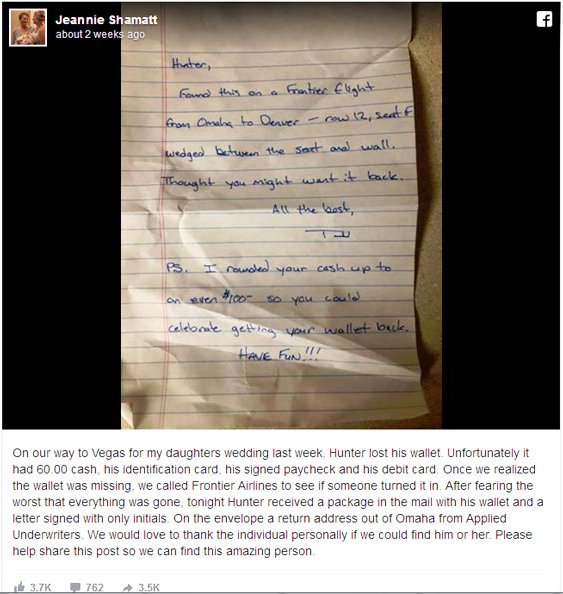 Hunter Shamatt had just arrived in Las Vegas when he realized his wallet was gone. 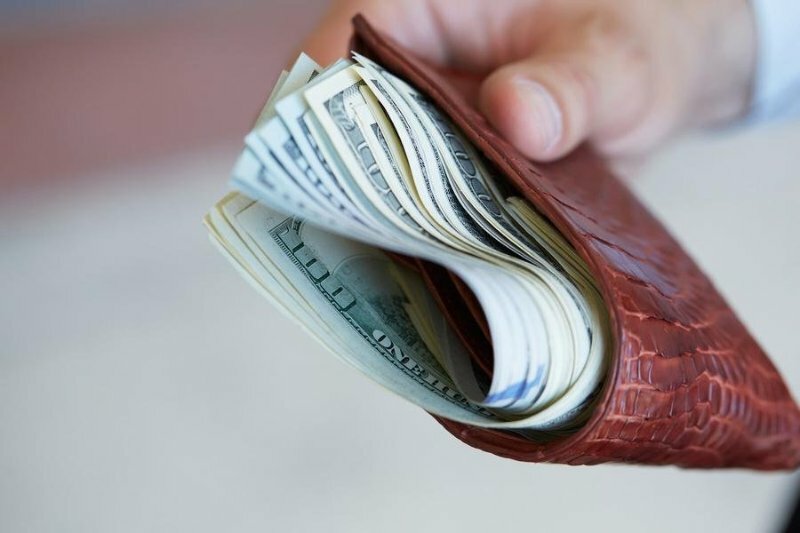 It contained $60, a $400 paycheck, his bank card and his identification card. He was stressed and upset, but it was his sister's wedding weekend, and he didn't want to make a big deal of it. He borrowed money from his parents for the weekend. "It kind of sucked," said Shamatt, 20, who works as a carpenter. "I was anxious not having my ID." He thought maybe he lost it on his Frontier flight from Omaha to Vegas, so he called the airline and reported it missing. No luck. "It being Vegas and all, I figured it was gone forever," he said. After the wedding weekend, he and his parents headed to the airport to fly back to Omaha on Nov. 11, a three-hour drive from their home in Brandon, South Dakota. His mother was worried about her son's identification. She didn't even know if he'd be allowed on the flight home without it. "We were very anxious," said Jeannie Shamatt. "I was worried. I was anxious. He was anxious." In the end, after an interview that lasted about an hour, he was allowed on the flight. The following day, a package arrived at his home. "Hunter, found this on a Frontier flight from Omaha to Denver - row 12, seat F wedged between the seat and wall. Thought you might want it back. All the best." "P.S. I rounded your cash up to an even $100 so you could celebrate getting your wallet back. Have Fun!!!" It took Hunter Shamatt a moment to process the note. "No way, no way," Shamatt remembers saying. "That can't be. No way, just no way." He counted the money three times, his mother said. "Everybody was so excited, none of us could believe it," she said. "It was absolutely amazing." They both wanted to thank the kind stranger, so Jeannie Shamatt posted a picture of the note on Facebook with a message asking for help finding the kind stranger. It got thousands of likes, shares and comments. Within days, the Shamatts were in contact with the kind stranger, identified in local media reports as Todd Brown of Omaha. Someone who Brown worked with put the pieces together and connected them. "Sir, I can't thank you enough. What you've done for me is virtually unheard of. Never in my life have I or my family witnessed such generosity. I never expected to see my wallet again, let alone with $40 more. Thank you so much, I've got student loans and a truck loan and it makes all the difference." Brown did not respond to an interview request from The Washington Post, but Jeannie Shamatt said both Brown and his wife were touched by how meaningful his gesture has been to the Shamatt family. "He and his wife told me they cried when I told them everything that happened," she said.